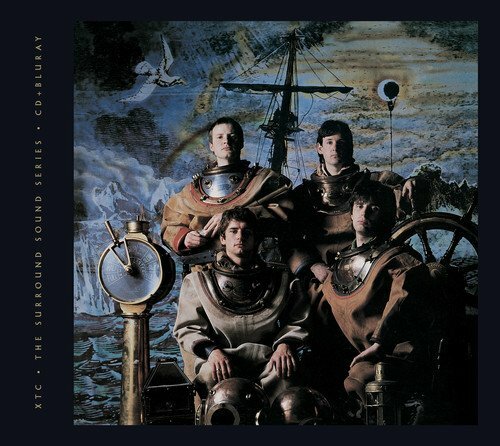 Black Sea is the fifth in a series of remixed & expanded XTC classic albums. The album has been mixed for 5. 1 Surround Sound from the original multi-track studio master tapes by Steven Wilson with input from Andy Partridge & is fully approved by XTC. CD: features a completely new stereo album mix by Steven Wilson with many of the bonus tracks also newly mixed by Steven Wilson. Blu-ray: a 5. 1 Surround mix in 24bit/96khz mixed from the original multi-track tapes available in LPCM and DTS HD MA. Additional Blu-ray features include: The new stereo album mix in 24bit/96khz LPCM audio. Additional songs from the album sessions in stereo & 5. 1, several newly mixed by Steven Wilson. The original stereo album mix in hi-res stereo + bonus tracks. Instrumental versions (mixed by Steven Wilson) of all new album & several bonus mixes in 24bit/96khz LPCM audio. Many album tracks in demo form as recorded (mostly live) at Phonogram Studios prior to the main album sessions. Three Andy Partridge demos from Phonogram studios. Three Andy Partridge demos from Swindon Town Hall. Promo films for Towers Of London, Generals & Majors & Respectable Street. Presented in special packaging with expanded booklet & sleeve-notes by Andy Partridge, Dave Gregory, Terry Chambers, Steve Lillywhite & Hugh Padgham. You can pre-order the album from Amazon here.